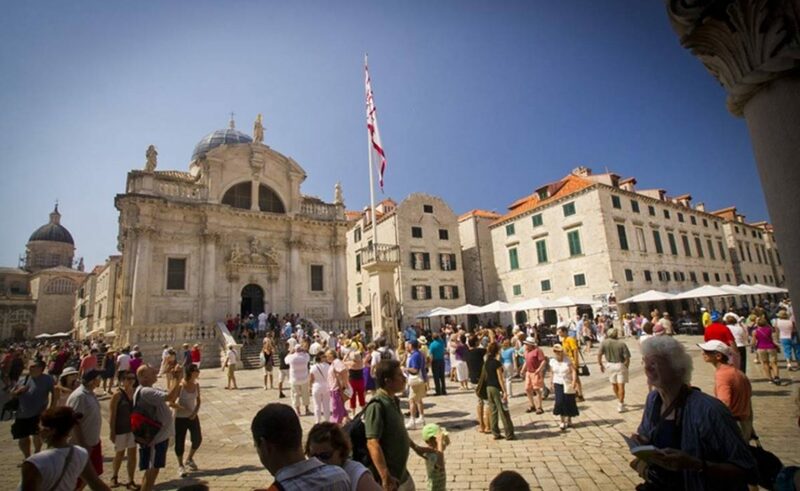 Dubrovnik continuously records excellent tourist traffic! in tjhe first six months, including June, there were 133 467 tourists in Dubrovnik, which makes 2 percent more than in June 2015. There were 467 828 overnight stays, which is one percent more that during the same period in 2015. Guests are coming from the UK, USA, Germany, France, Finland, Sweden, Australia, Spain, Croatian, and Ireland. According to available data from the system eVisitor (without the nautical tourism), Dubrovink achieved record breaking results in all types of the accommodation. From January 1st to 30th June 2016 there were 364 887 arrivals or 6 percent more than in the same period last year. During the first six months of 2016 was recorded 1,156,943 overnight stays, an increase of 5 percent compared to 2015. The United Kingdom, the United States, Germany, France, Croatia, Finland, Spain, Sweden, Korea and Ireland are the ‘top list’ countries from which our guests are arriving. Maksim Mrvica in Dubrovnik: Famous Crossover Pianist Will Perform on Valamar Beach this July!